On Thursday 9 August 2012, the Minister for Defence, Stephen Smith MP, delivered a speech at the Lowy Institute on how the Australian Government is addressing defence challenges ahead in the next Defence White Paper. Thank you Martine [Letts, Deputy Director, Lowy Institute] for your warm welcome. Thank you for inviting me to speak to the Lowy Institute. The Lowy Institute plays an important role by informing public opinion and encouraging debate on important international relations, defence and national security issues. One of the fundamental responsibilities of any Commonwealth Government is to protect, defend and enhance our national security interests. This requires making complex strategic judgments about short-term and long-term risks and opportunities in relation to the international strategic environment, and providing for an effective and efficiently run Australian Defence Force (ADF) which is able to make its contribution to meeting these challenges. This means that Government must make judgments about Defence posture, Defence operational capacity, Defence capability, Defence sustainment and Defence budgets and finances. This periodically requires the Australian Government to methodically review the international strategic environment and Australia’s strategic settings and posture to ensure they are appropriate to changing circumstances. That is why the Government committed in 2009 to Defence White Papers not more than 5 years apart and why the Prime Minister and I announced in May that the Government would deliver a new Defence White Paper in the first half of 2013. 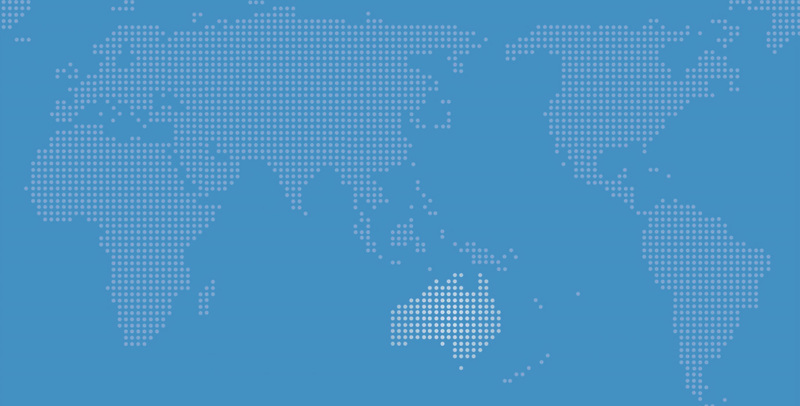 The 2013 White Paper will address the range of significant international and domestic developments since 2009 which influence Australia’s national security and Defence settings. The May 2009 White Paper underlined that Australia's most basic strategic interest remained the defence of Australia against direct armed attack, including armed attacks by other states and, in the modern world, by non-state actors. The 2009 Defence White Paper also had as a strategic priority the security, stability and cohesion of our immediate neighbourhood, which we share with Indonesia, Papua New Guinea, East Timor, New Zealand and South Pacific island states. Beyond our immediate neighbourhood, the 2009 White Paper found that Australia has an enduring strategic interest in the stability of the wider Asia-Pacific region, from North Asia to the Indian Ocean. These three enduring strategic interests remain in place for the 2013 White Paper. Our most basic strategic interest must continue to be the defence of Australia against direct armed attack. Australia as well has a deep stake in the maintenance of an Asia-Pacific security environment, including in our immediate neighbourhood, which is both conducive to stability and the peaceful resolution of problems between countries and which can absorb the rise in strategic influence and military power of emerging major players and super powers. As part of this, Australia has a deep stake in the security of South- East Asia, which covers our northern approaches, through which hostile forces would have to operate in order to sustainably project force against Australia. Beyond South-East Asia and the Asia Pacific region, Australia has a strategic interest in preserving an international order that restrains aggression by States against each other, and which can effectively manage risks and threats from state or non state actors. The 2009 White Paper underlined that Australia's national security and defence policy had to be founded on the principle of self-reliance in the direct defence of Australia and its strategic interests. This also envisages the maintenance of regional and international defence relationships which enhance our national security and which provide us with the interoperability required to work with others when we need to pool resources as part of a regional or international community response. The principal task for the ADF is to deter and defeat armed attacks on Australia by conducting independent military operations without relying on the combat or combat support forces of other countries. The second priority task for the ADF is to contribute to stability and security in the South Pacific and East Timor. This involves conducting military operations, with others as required, including in relation to protecting Australian nationals, providing disaster relief and humanitarian assistance and, on occasion, stabilisation intervention. The next most important priority task for the ADF is to contribute to military contingencies in the Asia-Pacific region, including in relation to assisting our South-East Asian partners to meet external challenges, and to meet our Alliance obligations to the United States. Finally, the 2009 White Paper stated that the ADF has to be prepared, where our national interest aligns and where we have the capacity to do so, to contribute to military contingencies in the rest of the world, in support of efforts by the international community to uphold global security and a rules-based international order. These tasks remain current and will also be reflected in the 2013 White Paper. As a result, the 2009 Defence White Paper envisaged an ADF which would be more capable in undersea warfare, anti-submarine warfare, surface maritime warfare, air superiority, strategic strike, special forces, Intelligence Surveillance and Reconnaissance (ISR), and cyber security. As a consequence, the 2009 Defence White Paper outlined an ambitious program of capability enhancements for the ADF, with a number of core capabilities, including twelve future submarines, three Air Warfare Destroyers (AWDs), two Landing Helicopter Dock amphibious ships (LHDs) and the Joint Strike Fighter. Why bring forward the next White Paper? The Government is committed to delivering the core capabilities identified in the 2009 White Paper and to delivering one of the most capable defence forces in our region, with the people and equipment needed for the task. The Government remains committed to the enhanced strategic planning process outlined in the 2009 Defence White Paper, which involves a new White Paper at intervals no greater than five years. On a five year timetable, the next White Paper would be due in the first half of 2014. Because of significant developments internationally and domestically since 2009, the Government has brought this forward to the first half of 2013. Bearing in mind the 2009 White Paper judgment that the Global Financial Crisis (GFC) was the most fundamental economic challenge facing Australia, the ongoing adverse effects of this crisis, which have continued to have a significant deleterious impact on the global economy. The strategic shift described in the 2009 White Paper has continued. Australia’s current and future strategic interests are overwhelmingly positioned to the north, the north west and north east, and to the Indian Ocean Rim. the growth of military power projection capabilities of countries in the Asia-Pacific and the Indian Ocean. In this century, the Asia-Pacific and the Indian Ocean Rim, what some now refer to as the Indo-Pacific, will become the world’s strategic centre of gravity. The rise of China is a defining element in this, but it is far from the only or whole story. The rise of India is still under-appreciated, as is the rise of the ASEAN economies combined. So must the great individual potential of Indonesia – as it emerges from a regional to a global influence so important to Australia. As well, the US re-balance to the Asia-Pacific will see greater US military, economic and political engagement in our region. The critical strategic importance of the Indian Ocean continues to be substantially under-appreciated. The countries of the Indian Ocean Rim are home to more than 2.6 billion people, almost 40 per cent of the world’s population. The security of its waters goes to the heart of global, regional and Australian strategic interests. The Indian Ocean already ranks among the busiest routes for global trade. It will become a crucial global trading thoroughfare in the future. The proportion of world energy supplies passing through critical transport choke points, including the Straits of Malacca, the Straits of Hormuz and the Suez Canal will only increase in coming years. Crucial trading routes, the presence of large and growing naval capabilities, as well as transnational security issues such as piracy, will drive Australia to ultimately put the Indian Ocean alongside the Pacific Ocean at the heart of our maritime strategic and defence planning. The ongoing shift in influence towards our region is, however, not just about economics or demographics. Military and strategic influence is also moving to our part of the world. The Indo-Pacific will be home to three of the world’s superpowers – the United States, China and India – and is home to four of the world’s largest militaries – the United States, Russia, China, and North Korea. The Indo-Pacific is also home to the world’s largest navies, including the navies of the United States, China, India and Russia. No one can say with precision or certainty what the new international or regional order will look like: the regional and international community response to these challenges will be critical and will in many ways help determine the outcome. These changes of strategic circumstance, the changes in economic, political and military weight, do require adjustments and the US, China, India and Australia and our region itself are adjusting to that. How the international community manages that adjustment to ensure continued stability and prosperity is the most important objective we have and the central challenge that we have in the coming decades. And that adjustment cannot be done by what some describe as a policy of containment, which is not viable. I have said previously that I do not believe it is possible for a country or countries to contain another country with a population of 1.3 billion, whether that is China or India. These shifting strategic influences must be managed by the international community through constructive and positive bilateral relationships, though dialogue and through regional architecture. Australia's policy is for Australia and the world to engage China, and for China to engage the world. We want China to play a full and constructive role in the affairs of our region and we want a deeper and stronger relationship with China at all levels, just as we want China and the US to have a deeper relationship at all levels. The level of economic integration between Australia and China sets an important benchmark for our political, strategic and defence to defence and military to military engagement. The challenge is to raise our level of political and strategic engagement to the same level as our economic engagement. The same is true of the US-China relationship, but even more importantly so. The bilateral relationship between the US and China is and will be the most important bilateral relationship we will see in the course of the first half of this century. In the fullness of time the bilateral relationships between the US and India and between China and India will grow to the same level of importance. We now see deep economic integration between the US and China. What we now need to see is the US and China grow their political and strategic relationship to the same level so as to avoid strategic competition between the two. Very much at the heart of continued stability and prosperity in the Indo Pacific is a positive and enduring bilateral relationship between China and the US at every level from the economic to the strategic to defence to defence and military to military. Occasionally I have seen the suggestion that somehow a country like Australia could be a bridge between the US and China. Two great powers do not need a country with a population of less than 25 million people to be a bridge between them. That is a matter for them – and a positive constructive relationship between two such powers is essential for stability and security during this Century. And Australia says exactly that to both China and the US, namely there is an essential need for a positive relationship between China and the US at every level. Australia is encouraged by the enhanced engagement between US and China which we are now seeing. That is why we have welcomed the progress made by US Secretary for Defense Panetta and Chinese Minister for National Defence Liang at their recent ministerial meeting in Washington, and why we welcome the forthcoming visit by Secretary Panetta to Beijing. Some assume that the economic and strategic influence of the United States, the world’s largest economy and superpower, will be rapidly eclipsed overnight as a result of this new distribution of strategic influence in the Indo Pacific. By the second half of this Century, the Indo Pacific will be home to three super powers and the strategic environment will be defined not just by the relationship between Washington and Beijing but also by the relationships between Washington and New Delhi and New Delhi and Beijing. The US, China and India will be the great strategic powers of our region and the international community. The emergence of three great strategic powers in our region will see an adjustment in the balance of power across the region and around the globe. In Australia’s view, the United States has underwritten stability in the Asia-Pacific for more than the past half century and will continue to be the single most important strategic actor in our region for the foreseeable future, both in its own right and through its network of Alliances and security relationships, including with Australia. A continued, indeed enhanced, United States’ presence in the Asia Pacific is essential to peace and stability in our region. Australia welcomes the United States enhanced engagement, its rebalance to our region. Amidst these strategic shifts, some have posited, indeed even suggested to the US itself, a substantial decline in or a withdrawal from our region. I do not see it this way. The US is not going away and is re-balancing towards the Indo-Pacific, as President Obama underlined in his speech to the House of Representatives in November last year. President Obama, Secretary of State Clinton and Secretary of Defense Panetta have all reinforced that the Asia Pacific and the Indian Ocean Rim is of vital importance to the US. We are seeing a shift in focus by the US to our region, from US Central Command focus on the Middle East to the US Pacific Command, characterised when I was recently in Hawaii, as having responsibility “from Hollywood to Bollywood”, from the West Coast of the United States to India and the Subcontinent. Substantially enhanced practical cooperation between Australia and the US is an essential part of Australia’s contribution to regional peace and stability. In November last year, the Prime Minister and President Obama announced during the President’s visit to Australia new force posture initiatives that significantly enhance practical defence cooperation between Australia and the US. Coming on the 60th anniversary of the ANZUS Alliance, these initiatives strengthen an already robust partnership that has been an influence for stability and peace in the Asia-Pacific region. It represents an evolution of existing exercises and activities that the US already conducts with the ADF in Australia. The first rotation of around 200 US Marine Corps personnel arrived in Darwin in April. The intent in the coming years is to establish a rotational presence of up to a 2,500 personnel Marine Air Ground Task Force, rotating into Northern Australia in the northern dry season. Australia and the US have also agreed to closer cooperation between the Royal Australian Air Force and the US Air Force that will result in increased rotations of US aircraft through northern Australia. This will also enhance bilateral collaboration and offer greater opportunities for combined training and exercises. The details of such enhanced aerial access is yet to be the subject of detailed discussion between the Australian Government and the US Administration. Down the track, it is also proposed to examine the possibility of increased US naval access to Australia’s Indian Ocean port, HMAS Stirling. For Australia, this presence will support our long-held strategic interests in maintaining and expanding US engagement in our region. US force posture initiatives are an extension of our existing defence cooperation and defence arrangements. Australia already hosts military exercises involving large numbers of US military personnel. But the US does not have permanent military bases on Australian territory and this will not change. The activities will take place in Australian facilities. This initiative will also provide tangible benefits by increasing the number, variety and complexity of training opportunities for the ADF. This will further develop our interoperability with US forces and help the ADF develop its ship to shore capability, which will be important as the LHDs come on line. We expect that this deepening practical cooperation with the US will also reinforce existing relationships and provide opportunities to enhance cooperation with our partners in the region. Australia is exploring these possibilities with both the US and our regional partners. For example, Australia, Indonesia and the United States are planning to hold a trilateral Australia-Indonesia-United States humanitarian assistance and disaster relief desk top exercise in 2012 and a full scale exercise in 2013, under the general auspices of the East Asia Summit humanitarian assistance and disaster relief framework. Indonesian President Yudhoyono has said on a number of occasions that he sees the prospect of China observing such exercises and in the longer term he sees the potential for Australia, the US and China doing exercises themselves, which Australia welcomes. Australia also welcomes Brunei’s proposal to host a humanitarian assistance and military medicine exercise in conjunction with its Chairing of the 2013 meeting of the ASEAN plus Defence Ministers Meeting. The Australian Defence Force has been engaged in land based expeditionary operations in Afghanistan then Iraq and then Afghanistan since 2001. Australia’s military contribution is an annual average of 1,550 Australian Defence Force personnel deployed within Afghanistan. Australia has committed to long-term support for Afghanistan, but our training and mentoring forces in Afghanistan will draw down and return to Australia in line with the International Security Assistance Force transition strategy, as determined in Lisbon and Chicago. On 17 July, transition to Afghan-led security responsibility in Uruzgan Province, where the majority of Australian military personnel in Afghanistan are based, formally commenced. This was a welcome sign transition in Uruzgan is on track for completion over the next 12 to 18 month period. The Australian-led International Stabilisation Force (ISF), currently consisting of Navy, Army and Air Force personnel from Australia and New Zealand, commenced in East Timor in 2006. The ISF operates at the invitation of the Government of East Timor, and in support of the United Nations (UN), to maintain stability and provide a secure environment for the ongoing development of East Timor. The ISF includes nearly 400 ADF personnel, including infantry, aviation and support elements. Following the success of the East Timor elections, the ISF will potentially start to draw down during 2013. In the Solomon Islands, the Australian-led Regional Assistance Mission to Solomon Islands (RAMSI) was formed in 2003. RAMSI's mission is to assist the Government of Solomon Islands in the maintenance of security, law and justice, economic governance and improving the machinery of government. RAMSI is shifting in focus to a law and order mission and with this shift the conditions will be favourable for a draw down of our military contribution during 2013. These transitions from long standing ADF operational commitments will involve a major readjustment to ADF posture and Australia’s defence priorities. The Government through the 2013 White Paper needs to carefully work through what impact this drawdown will have on the ADF and how to ensure we maintain ADF operational capability and readiness. The lack of such planning for the period following the withdrawal of the ADF from Vietnam had adverse impacts on ADF capability and readiness in the subsequent period. After ten years of working side by side, day by day with our Alliance partner the US, careful thought needs to be given to how the ADF can, for example, maintain and continue to develop its interoperability with the US. In this respect, many people cite the close and productive working relationships of our Special Forces and intelligence organisations. Less well known is the work of our embedded staff officers in Headquarters from Tampa to Brussels to Kabul. The ADF’s geographic positioning, or force posture, in response to strategic challenges is a critical part of Defence planning. However, it has been an area of Defence planning which has not received anywhere near enough attention in recent times. The last time a major review of ADF geographic positioning was effected was in March 1986 when Professor Dibb did some work for one of my predecessors, Kim Beazley, that informed the 1987 White Paper and its outcomes. In May, the Prime Minister Julia Gillard and I released the final report of the Force Posture Review. The Force Posture Review was overseen by an Expert Panel comprising two of our leading national security experts, Allan Hawke and Ric Smith, both former Secretaries of the Department of Defence. ADF Force Posture will be a major feature of the 2013 White Paper. Financial and fiscal circumstances clearly present a real challenge for the 2013 White Paper. The 2009 Defence White Paper noted that the GFC was the most serious global economic and financial crisis in decades, and that its strategic impacts were still unfolding. The long-term nature and ongoing adverse fiscal impact of the crisis was not predicted. Since 2009, the GFC has continued to have a significant adverse impact on the global economy. In addition, the global economy has witnessed the European debt crisis, which has also had a significant negative impact on the global economy. It is therefore unsurprising that, following the GFC, the defence forces of major developed countries have increased efficiencies and reduced their budgets, including the United States, the United Kingdom and Canada. This is in response to what United States Secretary of Defense Leon Panetta has described as the new fiscal reality. Secretary Panetta said at the Shangri-La Dialogue in Singapore in June, we live in a new fiscal reality in which we need to balance both fiscal security and national security. This new fiscal reality has a number of very clear implications for Defence and for Defence finances and budget. First and foremost, this new fiscal reality means that Defence must redouble its efforts to ensure that it is spending public money wisely and well. It means Defence must make the correct decisions when choosing capabilities and then it must deliver those capabilities on time and on budget. The new fiscal reality has diminished even further the public’s tolerance of cost blow outs and project overruns. The new fiscal reality means that Defence must continue to improve its capability and procurement processes. The Defence Budget was developed following a comprehensive review of the Department’s budget to identify contributions Defence could make across the Forward Estimates to support the Government’s broader fiscal strategy. Core Defence capabilities will continue to be delivered. There will be no adverse impact on our enhanced practical cooperation with the US in our region. Even with Defence’s contribution to returning the Budget to surplus, the Defence Budget remains a significant element of the Government’s overall Budget and its fiscal strategy. Our Defence Budget equates to 6.4 percent of Australian Government outlays. It is equivalent to around 1.6 percent of Gross Domestic Product. As a consequence we have a responsibility to, and we must ensure that, the Defence dollar is spent on priority items, and that it is seen to be spent wisely. We must prioritise our investments in capability, reduce administration costs to the most efficient levels and spend our funds wisely. Defence spending must be calibrated against an up to date assessment of short and longer term priorities. And so the White Paper will consider such issues around the Defence Budget. Reaction to the 2012-13 Defence Budget has failed to take account of the new fiscal reality we, the United States, the United Kingdom, Canada, New Zealand, Europe and others face. Claims that this year’s budget was “the worst day for Australia's Defence since the fall of Saigon in 1975”, that ''the best time to invade Australia will be around 2028-30'' and that the ADF is in “terminal decline” are overblown and misplaced rhetoric. Analysis of Defence funding based on Gross Domestic Product data is not the only reference point. Last year in the 2011-12 Portfolio Additional Estimates Statements, Defence’s Budget across the Forward Estimates was $103 billion. In this year’s Budget, the Government has again budgeted $103 billion for Defence across the Forward Estimates. Australia continues to be 2nd on the list of military expenditure per capita basis compared to the G7 countries and China, with only the United States spending more per capita. In real dollar terms, we spend far greater than any of our regional neighbours, including Indonesia and Malaysia. I also reject suggestions I have seen that Australia is somehow taking a free ride in our Alliance with the US. I reject that suggestion as does my counterpart Leon Panetta. Australia is the tenth largest contributor in Afghanistan, the largest non-NATO contributor and the third largest special forces contributor. We are also the country most active in enhancing our practical cooperation with the US in our region, as demonstrated by the developments on the US Global Force Posture Review. In May, the Prime Minister and I announced that the Government will deliver a new Defence White Paper in the first half of 2013. Defence White Papers outline strategic, risk-based judgments about long-term national security and defence needs and set out a Government's future plans for Defence, and how it will seek to effect these. The 2009 Defence White Paper was the first White Paper in almost a decade, with the previous White Paper published in 2000. Nine years is too long a period between White Papers. The significant strategic developments which occur over such a period inevitably mean that the principle focus and judgments in any White Paper after such a lengthy period would relate to addressing those strategic events and changes. As a consequence, the 2009 White Paper had an almost exclusive focus on strategy and capability. The ADF needs to continue to modernise and upgrade its capabilities. But when done on a sensible and regular timetable there is more to a White Paper than strategy and capability. Defence White Papers must also address the range of institutional, organisational, operating and logistical challenges which help ensure Defence can effectively and efficiently carry out the priority tasks as set by Government through a White Paper. Because of its focus on high level strategic and capability judgments not dealt with for nearly a decade, the 2009 White Paper did not address in any detail these institutional, organisational, operating and logistical challanges which Defence faces. The Defence Organisation’s institutional arrangements in support of the ADF. Defence Institutional Reform and Culture. The Defence Reform Program (ongoing). Today I will deal with three of these directions and themes – Australia’s Strategic Policy Approach, ADF Force Posture, and Policy and Posture in our neighbourhood. While strategic judgements are likely to change little from the 2009 White Paper, the 2013 White Paper will address some significant strategic developments for Australia. The ongoing adverse effects of the GFC, which have continued to have a significant deleterious impact on the global economy. The strategic assessments in the 2013 White Paper will build on the classified Defence Planning Guidance (DPG), Defence’s regular lead annual strategy document. The DPG articulates the strategic priorities that guide Defence to produce the military outcomes sought by Government. It also includes analysis of the future strategic environment, identifying the contingencies Australia might face in bracketed timeframes of 0 to 5 years, 5 to 15 years, and 20 or more years. The DPG is updated annually to set strategic guidance for force structure, capability development, critical enabling functions and preparedness management. The 2011 DPG update has been completed and will help provide the basis for the strategic decisions outlined in the 2013 White Paper. The ADF’s force posture, or geographic positioning, has not received enough attention in recent times. The last major review of ADF geographic positioning was effected in March 1986, some 25 years ago. This resulted in the establishment of some of our so-called bare bases, RAAF Learmonth and RAAF Curtin in Western Australia and RAAF Scherger in Queensland. These bare bases are well located to deliver critical air power capabilities, including air combat and strike operations in our Northern approaches. This review also saw the move of some of our fleet assets and submarines to HMAS Stirling (Fleet Base West) in Western Australia. HMAS Stirling is well-located for maritime operations in Australia’s Western and Northern approaches, and has excellent access to industry support and a maritime exercise area. HMAS Stirling will continue to be a highly effective homeport for submarines and frigates and will grow in importance as India rises. With some obvious exceptions, these days what we still might term a World War Two style ‘Brisbane Line’ disposition of Navy, Army and Air Force assets does not reflect the reality of where the ADF must operate, whether for military operations or humanitarian assistance and disaster relief, or other contingencies. The ADF must be better positioned to meet current and future strategic circumstances, particularly as this relates to the ADF’s priority tasks, namely to deter and defeat attacks on Australia and to contribute to stability in our immediate neighbourhood. These priority tasks overwhelmingly involve our north and our northern and western approaches. While securing northern and western Australia presents challenges because of the size, distance and relative lack of infrastructure, the ongoing growth and scale of minerals and petroleum resources development in these parts of Australia need now to also be addressed in force posture considerations. There are significant weaknesses and risks to our current force posture which left unattended would become even more apparent in future years. These risks relate to the capacity of ADF bases and facilities to support capabilities in Australia’s North and West, and our ability to sustain high tempo operations in northern and western Australia, in our northern and western approaches and in our immediate neighbourhood, let alone South-East Asia and the wider Asia-Pacific region. In other words, risks which go to the capacity of the ADF to meet its principal and priority tasks – namely to deter and defeat attack on Australia and to contribute to stability and security in our immediate neighbourhood. The Force Posture Review considered all of these factors and made recommendations about the future force posture of the ADF and the future security and strategic environment and challenges Australia needs to be able to respond to. The Review examined logistics support requirements, training areas for large-scale exercises, demographic and economic factors and engagement with industry. The Prime Minister and I released the Force Posture Review in May. The Review found that as a general proposition, our changing strategic environment does not necessarily require widespread changes in the actual physical location of our Defence Force bases, but that substantial adjustments need to be made. It concluded that there are risks associated with the ability of the ADF to sustain high-tempo operations in Northern Australia, our neighbourhood and our region. The Review concluded that Australia needs a force posture that can better support operations in our northern and western approaches, as well as operations with our partners in the wider Asia Pacific region and the Indian Ocean Rim. The Review found that Navy’s future capability and sustainment requirements pose the greatest challenges for force posture and basing. Navy will place significantly greater demands on the capacity of wharves, dockyards and support facilities into the future. This demand cannot be met without a long-term strategic approach to planning and investment in Navy’s future basing and infrastructure. The introduction of the Navy’s future amphibious capability will have a transformational effect on Navy, the ADF generally and force posture. The Review examined basing options and the possibility of enhanced access to commercial ports. While permanent Navy bases in the North are not recommended as operationally necessary, the Review recommends investment to enhance Broome, Cairns and Darwin as naval bases be considered. The Review highlights the potential for greater wharf capacity and support facilities at HMAS Stirling (Fleet Base West) to support major surface combatant capability and operations. This expansion would provide facilities to homeport the Future Frigate, forward deploy AWDs and support visits by US Navy vessels. It would also enable HMAS Stirling to continue as the primary submarine homeport when the 12 new Future Submarines enter service. The Review also recommended that additional East Coast options for AWDs and LHDs involving Brisbane be considered. The Review found that while our Air Force bases are well-located, many lack the capacity to fully support new platforms, and some in Northern Australia face significant logistical constraints. The Review recommended that bases at Edinburgh, Learmonth, Pearce, Tindal and Townsville be upgraded to enable unrestricted operations by KC-30 air to air refueling aircraft and P-8 maritime surveillance aircraft. It also recommended that Curtin, Learmonth, Tindal and Townsville (with Scherger as a lower priority) be upgraded, to support future combat aircraft operations. Importantly, the Review found that there was a need to assess fuel and support requirements for forward bases during high tempo operations and a need to identify risks, deficiencies and required mitigation measures. The Review found that Army’s current posture does not require significant change. It found that 1 Brigade’s current disposition centered in Darwin should remain, as should 7 Brigade in Brisbane. The Review considered strategic logistics such as munitions and fuel availability, supply and storage. Fuel supply is a critical factor in sustainability. The Review underlined key risks affecting Northern bases such as the storage capacity of some air bases, especially the bare bases and the dependence of Curtin, Learmonth, Scherger and Tindal on fuel supply by road, challenging during protracted high tempo operations, with some routes also vulnerable to closure during the wet season. While the fuel supply chain can meet current requirements, its resilience under the stress of major operations is much less certain. No decisions have been made about individual proposals in the Force Posture Review and these now all fall for consideration in the 2013 White Paper process. An ADF operational draw down from Afghanistan will see the ADF’s presence and activity in our own neighbourhood come back into sharp focus. This will apply in particular to our immediate neighbourhood – Indonesia, PNG, East Timor, New Zealand and the South Pacific – the ADF’s second priority task for contribution to stability and security. The Middle East draw down will also coincide with a draw down from East Timor itself and the Solomon Islands. In that sense, our current forward posture in East Timor and the South Pacific as part of a regional stabilisation contribution, will itself change significantly. This forward posture and presence in the ADF’s second priority task area will end after nearly a decade. So, in the context of the 2013 White Paper, how does Australia and the ADF adjust and adapt to this? Defence and the ADF’s international engagement in our immediate neighbourhood and beyond is both a strategic necessity and an important strategic asset for Australia. Port visits, training and exercises, international engagement activities, familiarisation visits both underline neighbourhood engagement and demonstrate the ADF’s capacity to meet the strategic tasks required of it by Government, whether security and stabilisation or humanitarian assistance and disaster relief. As well, practical defence to defence and military to military cooperation in our neighbourhood region – in humanitarian assistance and disaster relief, peacekeeping training and operations, exercises and training and maritime security – help build habits of mutual respect, trust and cooperation between defence organisations, militaries and nations, and adherence to international norms. All this not only minimises the prospect of tension, misunderstanding, misjudgement and miscalculation, but builds on and enhances positive cooperative bilateral and regional relationships. Australia has well developed and well established defence to defence and military to military relationships and practical cooperation arrangements with a range of countries in our neighbourhood and region. Some are well known and recognised, including Japan, Malaysia, New Zealand, Singapore and South Korea and the United States itself. There are also countries in our neighbourhood and region with whom we either have defence to defence and military to military relationships which are either publicly underappreciated or with whom we need to grow our defence to defence and military to military relationship. These include for example Indonesia, Vietnam, PNG, Tonga, China and India. Indonesia is of enormous strategic significance and importance to Australia. That is only growing as Indonesia becomes a country of global influence not just regional influence. The importance of the strategic and bilateral security relationship between Australia and Indonesia is reflected by the Lombok Treaty, which came into effect in February 2008. Australia’s defence relationship with Indonesia encourages practical cooperation in counter-terrorism, maritime security, humanitarian assistance and disaster relief, peacekeeping and intelligence. In March this year the inaugural bilateral Defence and Foreign Ministers (2+2) Dialogue took place in Canberra. In September, I will travel to Jakarta for the inaugural Annual Australia-Indonesia Defence Ministers’ Dialogue. During that visit my counterpart Defence Minister Purnomo and I will sign a Defence Cooperation Agreement to set out a practical framework for enhancing our defence to defence and military to military practical cooperation. Such is the importance of our relationship with Indonesia that I have indicated to Minister Purnomo my intention to consult with him and keep him informed as work on the 2013 Defence White Paper proceeds. Vietnam is emerging as both a strong influence in ASEAN and its related forums and in our region. Australia is working hard to build its strategic and practical engagement with Vietnam. Our defence relationship with Vietnam includes professional exchanges and cooperation on specialist peacekeeping. Our defence relationship with PNG is aimed at assisting the PNG Defence Force (PNGDF) to be an effective, sustainable and professional regional security partner. We aim to help develop the PNGDF’s capacity to secure its borders, contribute to United Nations (UN) and multilateral peacekeeping missions, such as RAMSI, and cooperate with the ADF in humanitarian assistance and disaster relief. The Defence Cooperation Program with PNG is the largest Australia has with any country. The Program assists the PNGDF through training exercises, capability development and support to PNG’s Pacific Patrol Boats. With a small, capable and professional force, the Tonga Defence Services (TDS) is an ideal partner for Australia in the Pacific and one that makes a positive contribution to regional and global security. The Defence Adviser South Pacific relocated to Tonga in early 2012, reflecting the growing strength of our defence relationship. Tonga has been a long time contributor to RAMSI and is making a contribution in Afghanistan through membership of the International Security Assistance Force (ISAF). Australia will support Tonga under the Defence Cooperation Program and the Pacific Patrol Boat (PPB) Program. The Australia-China military to military relationship is growing in prominence and complexity. Late last year, the ADF undertook with the People’s Liberation Army (PLA) a bilateral humanitarian assistance and disaster relief exercise in Sichuan Province, a demonstration of deepening practical cooperation. Maritime engagement between our navies continues to grow. Growing practical military to military cooperation is supported by enhanced bilateral dialogue on strategic and defence issues. In 2010, the Secretary of the Australian Department of Defence and our Chief of the Defence Force held the 13th Defence Strategic Dialogue with the Chief of the General Staff of the PLA. In June, I met with Defence Minister General Liang Guanglie in Beijing for the inaugural bilateral Australia-China Defence Ministers’ Dialogue. In 2009, Australia and India signed a Joint Declaration on Security Cooperation. Strategic engagement has involved high-level visits and ongoing exchanges and dialogue. Our Navy to Navy relationship continues to grow—a natural progression given our shared maritime security interests as Indian Ocean littoral states. It makes sense that the two best equipped and advanced Navies in the Indian Ocean Rim work together. In New Delhi in December 2011, Indian Defence Minister Antony and I agreed we would boost cooperation on maritime security. Our navies will join together in multilateral maritime exercises and conduct Passage Exercises. Our officials are examining options for further substantial bilateral maritime exercises in the future. Such Defence and ADF international engagement must not just reflect the ADF priority tasks – the defence of Australia, security, stability and cohesion of our immediate neighbourhood and stability in the wider Indo-Pacific – it must now reflect the historic shift of strategic weight to the Indo Pacific. We have key relationships in our immediate neighbourhood which we can neither neglect or ignore, and the Middle East draw down presents the opportunity to now further grow these relationships. Since becoming Minister for Defence I have visited Afghanistan and NATO Headquarters in Belgium eight times. When I visited Papua New Guinea for ANZAC Day this year, I was concerned to learn that mine was the first visit by an Australian Defence Minister since 2004, one reason why I have sought to formalise Annual Defence Ministers meetings with a range of neighbourhood countries, including Indonesia, New Zealand, PNG itself, Singapore, and Vietnam. The focus of the Defence and ADF engagement in our neighbourhood needs to reflect our new strategic circumstances. The new strategic circumstances, for example, requires enhanced defence to defence and military to military relationships with China, India, Indonesia, PNG, Tonga and Vietnam, let alone the ongoing enhancement of existing relationships such as Japan, New Zealand, Malaysia, Singapore, South Korea, Thailand and the United States itself. It requires the comprehensive re-engagement with our immediate neighbourhood, an opportunity which the draw down now presents. As part of this we will need to consider how Defence and the ADF is postured or has a presence in our immediate neighbourhood. For example, as the ADF draws down from East Timor and the Solomon Islands, the ADF will be working through its development of a ship to shore amphibious capability with the use of our LHDs. That will potentially allow the ADF to maintain from time to time a forward posture or presence in our immediate neighbourhood through exercises and the like. On a separate front I have suggested to my South Pacific Defence Ministerial colleagues from New Zealand and Tonga, and propose to do so with my new PNG colleague, that we convene annual meetings of South Pacific Defence Ministers – Australia, New Zealand, PNG and Tonga to discuss regional issues of mutual interest. Fiji would of course have to await a return to democracy. Consideration of a successor to the Pacific Patrol Boat Program – the Pacific Maritime Security Program (PMSP) - is an opportunity to work through carefully and strategically how Australia engages on defence and security issues with Pacific Islands states. Possible options for the PMSP range from a straight forward patrol boat replacement program through to a coordinated surveillance and response arrangement, which includes the development of a regional maritime domain awareness agency modelled on the Pacific Island Forum Fisheries Agency. The Forum Fisheries Agency strengthens national capacity so its members can sustainably manage, control and develop their fishery resources that fall within their 200 mile Exclusive Economic Zone (EEZ). Based in Honiara, the FFA is made up of 17 Pacific Island members: Australia, Cook Islands, Federated States of Micronesia, Fiji, Kiribati, Marshall Islands, Nauru, New Zealand, Niue, Palau, Papua New Guinea, Samoa, Solomon Islands, Tokelau, Tonga, Tuvalu and Vanuatu. Such a new regional maritime domain awareness agency could pool air and maritime surveillance assets to provide a shared maritime domain awareness picture to Pacific island states. The ability to fuse information in this way would assist Pacific nations in protecting their valuable EEZ, dealing with illegal, unregulated and unreported fishing, transnational crime, terrorism and environmental threats. The PMSP offers the opportunity to build maritime control and surveillance across the region in a way which has not been previously possible. The White Paper will consider all of these issues and will outline a post draw down approach for comprehensive engagement in our neighbourhood which reflects our new strategic circumstances. Planning for the future national security interests of Australia is a fundamental responsibility of an Australian Government. An essential part of fulfilling this responsibility is making strategic, risk-based decisions about Australia’s long-term National Security and Defence needs. This means we must understand the implications for Australia of changing strategic, security and economic circumstances. These changing strategic, security and economic circumstances pose challenges for Australia and for Defence. I am confident that the 2013 White Paper and its processes will provide a way forward to address these challenges.